There’s no such thing as being too careful with the products you use on your baby’s sensitive skin. That’s why many moms are choosing to seek baby wipes that are made with no additives that could irritate. 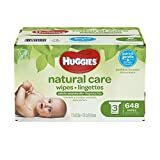 Huggies Natural Care Wipes are a good choice for moms who want to go with a well-known brand and a wipe that’s made with no alcohol or parabens. 1 SAFETY | What’s Inside? Take a closer look at these wipes that could become your go-to baby wipe for your diaper bag and at the changing table at home. Not all hypoallergenic baby wipes are created equally, so you want to study that ingredient list to make sure it’s safe for your child. You’d be hard-pressed to find a safer alternative to the standard baby wipes out there than Huggies Natural Care Wipes. Even though you may have trouble pronouncing butoxy PEG-4 PG-Amodimethicone, it’s not nearly as scary as it sounds – it just helps the wipe slide better. The only ingredients that may be cause for some concern are the malic acid and the aloe. Malic acid can be irritating to some babies with extremely sensitive skin, but it generally isn’t an issue. And not all children react well to aloe, so if it’s a known issue with your tot, then you want to find a different wipe. Overall, though, these wipes are going to be safe for your baby. Bonus: Huggies Natural Care Wipes don’t use chlorine bleaching in its products, so there are no dioxins in the wipe material. …these wipes are going to be safe for your baby. Usually, when you choose a wipe, it’s either soft or strong, but not both. These wipes are softer than ever thanks to the fabric-like texture of the wipe itself. Huggies Natural Care Wipes also include ingredients to make your baby’s skin smooth and silky. Aloe and vitamin E are both natural healing agents, so rashes could be a thing of the past (just make sure your little one isn’t allergic to aloe). These wipes are softer than ever thanks to the fabric-like texture of the wipe itself. The wipes are generally moist and don’t dry out, but they can be wetter than other wipes. Too wet can be a problem when you’re trying to clean up a mess that’s, well, not solid. The good news is that your baby’s skin won’t remain wet after using one of these wipes, though. Like most brands, these particular wipes come in an array of bulk sizes, and each individual wipe is made to a standard dimension. The Huggies Natural Care Wipes measure in at about 7 ½” by 6 ½” so it should be bigger than your hand, but not quite big enough to double up for extra hand protection. You can buy these wipes in a variety of sizes. There’s a 32-count one that’s great for a day-long outing; a 56-count soft pack that’s good for packing in your diaper bag; the pop-up hard case that holds 64 wipes; or refills at 184 per package (but you can buy these in packs of 4, 6, or 8). But it is always recommended going the bulk route where you can get a box of 648 for the best value. You can buy these wipes in a variety of sizes. Now here’s the part that Huggies has recently improved after much lamenting by moms would tug a wipe out of the dispenser, only to have a chain reaction occur where three or four other wipes would follow. The hard case dispenser includes a flexible plastic cover inside with just enough room to pull a wipe through the center. It helps to reduce the flyaway wipe pull issue that many moms have had. This is a great feature and assures that you don’t have wastage while also getting the exact amount of wipes you need. One of the best things about the Huggies Natural Care Wipes is that they’re one of the most affordable wipes you can buy. At least, they are once you start buying refills. Buying the tub has an initial one-time cost, but once you start buying to refills, you’re looking at an MSRP of $17.99 for a 648 count box. But right now on Amazon, you can find the Huggies Natural Care Wipes for even LESS than MSRP (Check it Out). You’ve probably grabbed a baby wipe to clean up all sorts of messes, and why not when they work and they’re convenient? Baby wipes like these from Huggies not only mop up the muck from your baby’s dirty diapers, they can also wipe away food messes, dirt, and other icky things. Plus, they’re a cheap alternative to makeup removing wipes. Moms everywhere are likely to agree that a wipe that can handle a mess without tearing is worth its weight in gold. These Huggies Natural Care Wipes are tough enough to stand up to the gross messes without falling apart, which is a relief. However, if tugged, they can tear easily. 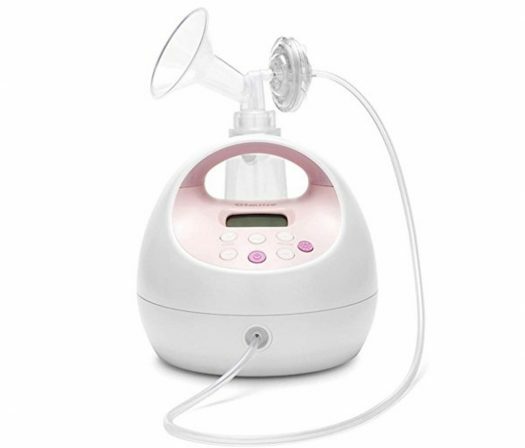 So, as long as you’re careful when pulling one from its container, and your baby doesn’t grab and tug, you should be okay. Finding a wet wipe to clean your baby’s face, hands, and bottom can be a challenge. You want one that’s durable, but still soft. It should be free of all the bad chemicals but include ingredients that make it work well and help nourish your child’s new and sensitive skin. The Huggies Natural Care Wipes fit the bill – and they’re more affordable than you’d expect, especially if you buy in bulk boxes. Although they may be wetter than most wipes you may have used, and they could tear easily when tugged on, they prove to be one of the best baby wipes on the market today and also a proven brand that you can trust.